Happy New Year! I hope that you are having a great start to 2009, dear readers. Here is a quick and easy appetizer to start off your new year right! 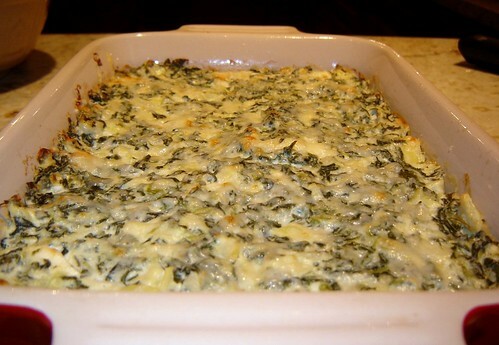 My trusty spinach and artichoke dip is based on Alton Brown’s recipe, but has a bit of an onion and cheese twist. 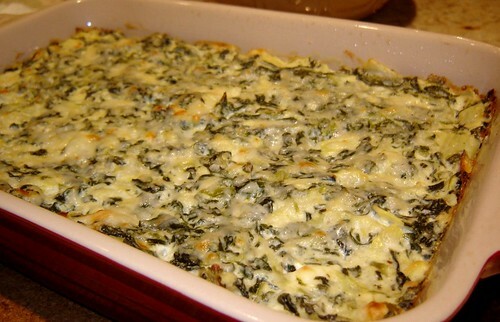 Preheat oven to 375 degrees and grease a small oven-safe dish. Heat olive oil in a small frying pan over medium heat. Add onions. Allow to brown over medium to medium high heat, stirring occasionally. Microwave frozen spinach and artichokes according to package directions. Heat cream cheese in microwave for 1 minute or until hot and soft. 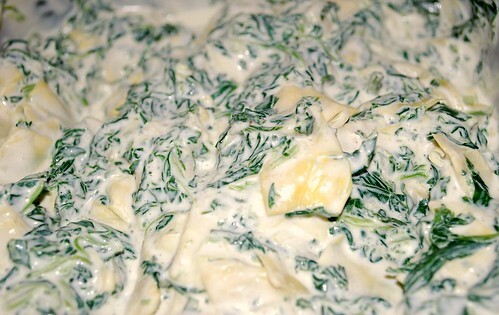 Stir in spinach and artichokes, 1/4 cup parmesan, red pepper flake, salt, pepper, and garlic powder. Place in a a greased, oven-safe dish and sprinkle with remaining parmesan. At this point, you can either store the dip, covered, for up to 3 days, or continue. Bake until hot and bubbly, about 10 minutes. 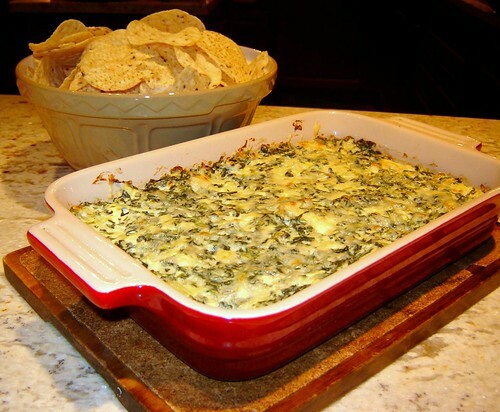 Serve with crackers or tortilla chips.